Sicilly. One of the most beautiful islands in Europe. The coastline of Sicily and small islands nearby offers beaches for every taste: lively and solitary, sandy and shingly, and even beaches of black volcanic sand. In this post, we selected the best of them. 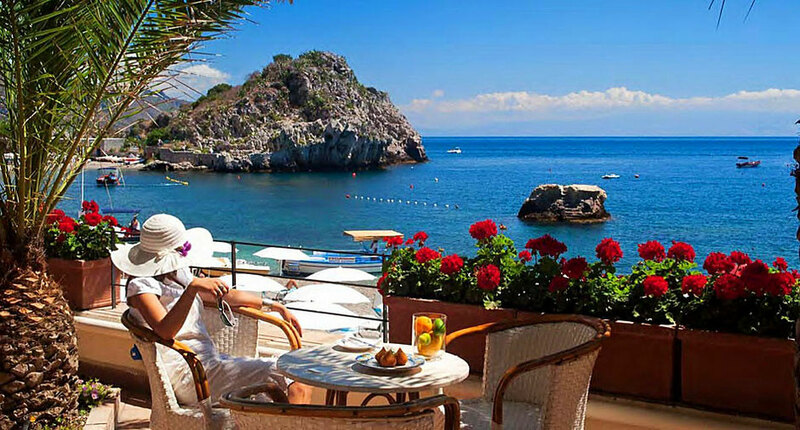 Mazzaro is a beach of the most important resort of Sicily Taormina. This beach is located in a bay with the same name Mazzaro. The area, covered with small shingle, is famous for its scenic views of the island Bella, which can be reached on foot along a thin isthmus. The Ionian Sea is very clear, and suitable for swimming, as well as for surfing and diving. 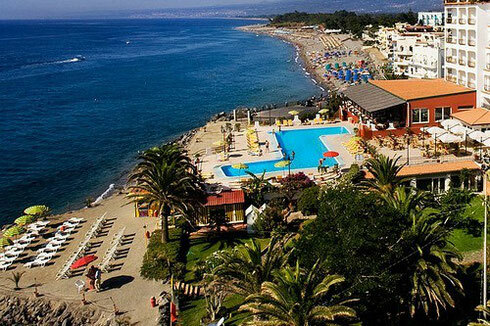 You can find here a free public beach, and also a pay beach - Lido da pigna, where tourists can rent sunbeds and parasols, enjoy summer adventures like water skiing and banana boating, and also have lunch at the restaurant of the lido. 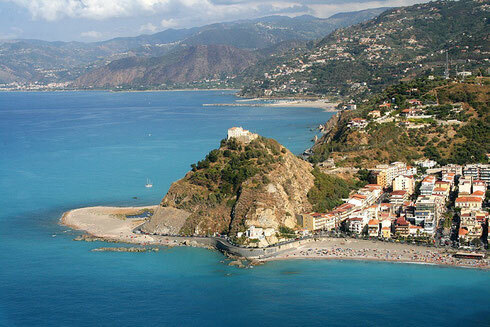 The famous beach of Giardini Naxos is situated in four kilometers from Taormina beach. This beach can please both kids and grown-ups - clear water, soft sand, lush gardens, great hotels, surfing, diving and golf, a lot of restaurants, discos, water activities, and even music and theater festivals. Here you can find free public beaches, as well as beaches with usage fee, equipped with sunbeds and parasols. 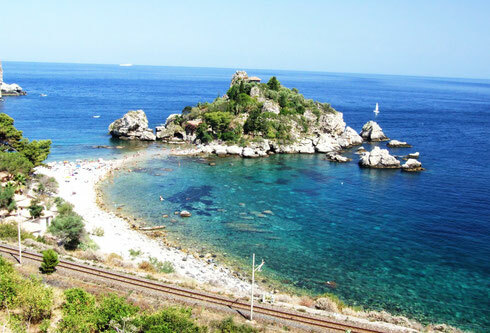 To the east from Taormina, the coastline stretches for many kilometers along the towns of Sant'Alessio, Santa Teresa, Furci Siculo, Roccalumera. These places can please the fans of secluded relaxation. The clearest sea, both free public and private beaches, scenic view of the Cape Sant'Alessio. These beaches are also known as gray beaches, as they are covered with small gray shingle. Here and there you can find some cafes and shops. Milazzo is a small resort near Messina, located on the peninsula of the Capo di Milazzo, jutting into the Tyrrhenian Sea. Since the distance between Milazzo and Catania airport is 140 km, here there're no crowds and rush even in the midst of summer season. In this charming town and all along the peninsula you can find soft sand and shingle beaches, and the clearest water. This is a great place for relaxing vacation and enjoying the sea and sun. 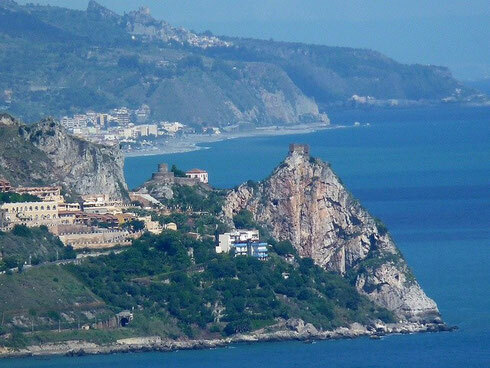 You can reach the Aeolian Islands from the port of Milazzo. Here you find the clear sea, a few tourists and a relaxed atmosphere. All the Aeolian islands have volcanic origin, and the volcano of Stromboli is still active. The beaches here are covered with black volcanic sand. Panarea - the smallest, but well-known island - here you can enjoy the great views and clear water. Vulcano has a nature reserve Riserva Naturale Isola Vulcano and hot springs. 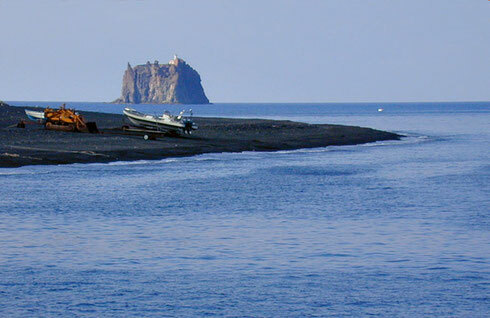 Stromboli is famous with its beautiful beach of black sand Forgia Vecchia. 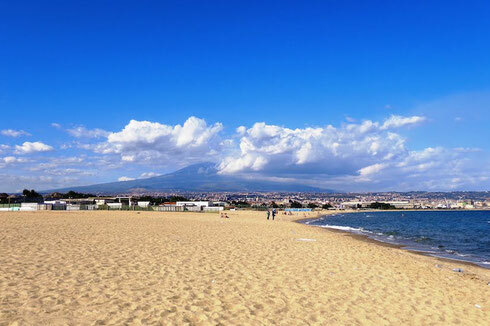 Catania offers 60 km of beaches to suit all tastes. The most famous of them - La Playa - is one of the symbols of the city. This beach has a length of 18 km, and is covered with a nice soft sand, it has both private and free public zones. Along the beach there are a lot of hotels and spa centers. This area is well known to tourists and offers an opportunity to spend perfect summer vacation at reasonable prices.